With 31 guestrooms in this luxury boutique hotel, travelers feel like treasured family members of this once private historic residence. Boasting pieces of art by celebrated artists such as Frank Stella, Andy Warhol, and David Hockney, Gran Hotel Son Net exudes a traditional cultural ambiance along with aristocratic sensibility. Offering a sense of Mallorcan classicism, this former country mansion was meticulously built in 1672 to have panoramic views of the Tramuntana Hills and yet still remain undiscovered within the glorious natural preserve that surrounds the peaceful property. Rustic beams and stone floors combine with opulent furnishings to create individually styled guestrooms replete with marble baths, incredible vistas, and a Mediterranean ambiance. Gran Hotel Son Net welcomes guests with the same unchanged landscape of years ago, abounding with olive and almond groves and occasionally interrupted by windmills. This is the timeless and unchanged backdrop of the Gran Hotel Son Net, a hotel that offers the unique combination of historic charm, ultimate exclusivity, and effortless luxury. 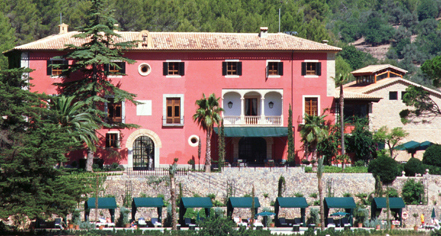 Gran Hotel Son Net, a charter member of Historic Hotels Worldwide since 2011, dates back to 1672. Art forms a focal point of this boutique hotel with a remarkable collection of modern paintings with works by artists such as Marc Chagall, Frank Stella, David Hockney, and others. Hotel/Resort Fees & Taxes: Please contact hotel for more information. A tax is imposed by the city: EUR 2.20 per person, per night. This tax does not apply to children under 16 years of age. A tax is imposed by the city and will be collected at the property. The seasonal tax is reduced by 50% from November 1st to April 30th, and after the 7th night of stay. An architectural beauty, Gran Hotel Son Net is the crown jewel of Mallorca, Spain. The 17th-century historic mansion offers exquisitely appointed rooms, authentic cuisine, and a wide array of outdoor entertainment. 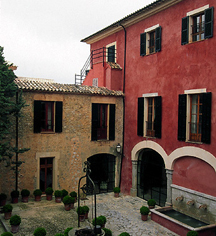 Learn more about the History of Gran Hotel Son Net .